The Stretch Tent is up and the bar is being set up, roll on Friday night. The sun is setting over our hard setting up the stretch on a cliff! 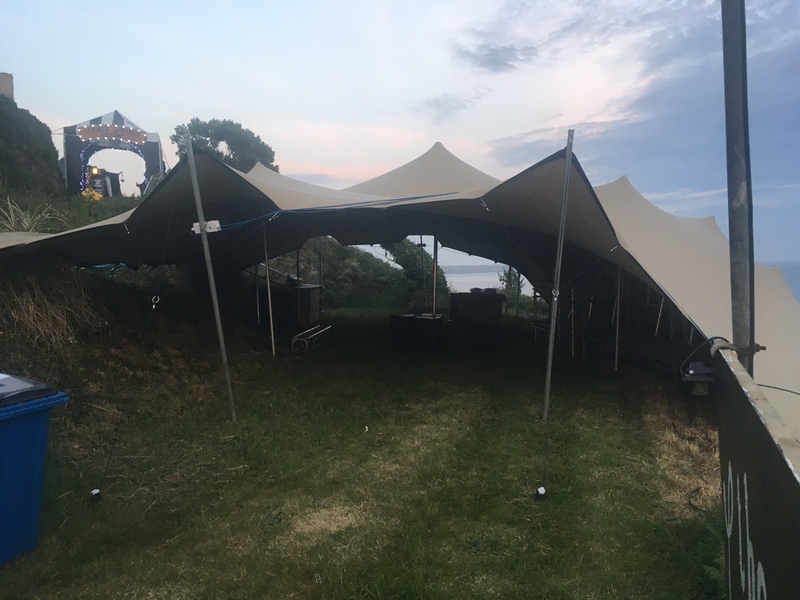 It’s that time of year again, the summer is here and what better way to celebrate than with a massive party in a beautiful setting! 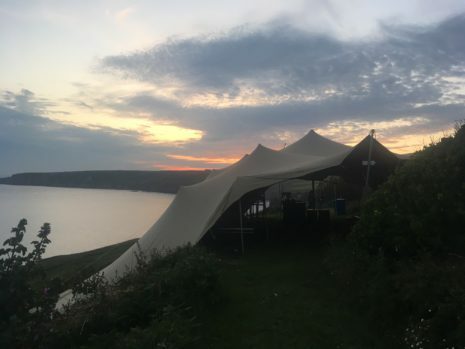 We are lucky enough to live in Cornwall and a stones through away from the site of the Summer Masked Ball. Last year we were the Rave Yard…. what’s our tent going to be this time? Either way were right on the cliffs! Best view of the year!